There are various reasons why businesses get into debt. Poor financial management is a biggie, though profits may not arrive as quickly as hoped, either. Many businesses are also founded on debt, with money borrowed to expand and grow. Whatever the reason, debt is a hole that a business manager needs to climb out of. Failure to do so may result in bankruptcy and the closure of the business, and in the majority of cases, that has to be the last resort. Thankfully, there are solutions. Should you own a business, and debt is something you are all too aware of, the following are some of the ways you can raise money and keep your doors open for longer. If your business is currently in the black, it’s still worth taking note of the advice given. We are talking about increasing online sales quickly, and getting the business out of a financial jam. A concerted effort needs to be made to improve sales, such as selling off excess stock at a discount price, offering promotions, and using affiliate marketing programs. With hard work and savvy business planning, it is possible to boost income and pay off those debts sooner than later. Taking out another loan may not be an option a business manager is willing to take, especially if they are already struggling with debt. Still, if money is needed in a hurry, online companies such as OneMain Financial may be the answer. It may cover staff salaries and overhead costs, essential if there are absolutely no other sources of money coming in. A short-term loan is also better than taking out another long-term loan, avoiding binding contracts and high-interest rates. You need to be careful with this option, as you need to make sure you are paying back less money each month than before. Some debt consolidation companies charge large fees, for example. Still, it is worth shopping around as this is a viable option for those making payments to several lenders a month. Whether a credit card or loan company is chosen, it is important to look for low-interest rates, thus consolidating any loans into one easier to pay monthly payment. Budgeting is essential for all businesses, and there may be areas where expenses can be cut down. While redundancy is the last thing any business owner (or staff member) wants, it may have to be a necessary evil if funds are dry. Of course, there are other ways to cut costs before this happens, whether that’s cutting down on inessential resources, or moving to another office building and paying less rent. Hiring the services of an accountant should also be considered, ensuring any financial decision is a wise one. Any money saved can then be used towards paying off the ongoing debts. In some cases, this is a last resort option. Many business assets, such as computer equipment or machinery, are essential for the day to day running of the business. Still, if anything isn’t being utilized on a regular basis, it may be worth selling them, thus making money to pay off any outstanding debts. The other option is a ‘leaseback agreement,’ where the business owner makes money by selling something, but then rents the item back. This way, the debt is covered with the sale of the asset, but productivity doesn’t have to be delayed for long if the asset can then be loaned back to the business. 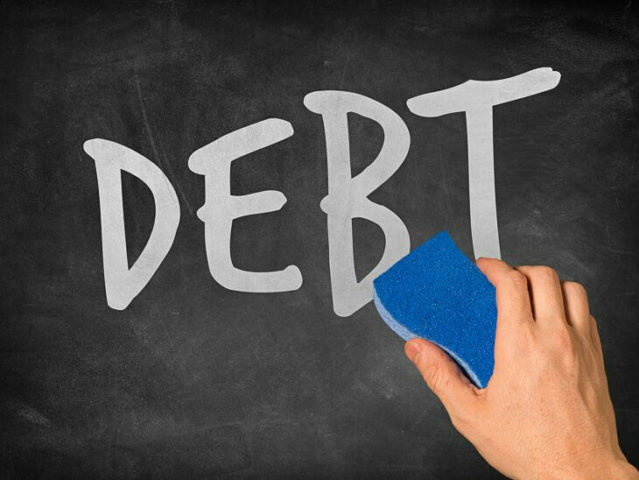 Debt is hard to get rid of, but the steps above may offer a solution to the business manager. Of course, it’s important to make sure things don’t spiral out of control again, so diligent financial management and a concerted marketing push need to be the priority going forward.